As a fan of both Lego, and Dungeons & Dragons, this craft makes me especially happy. 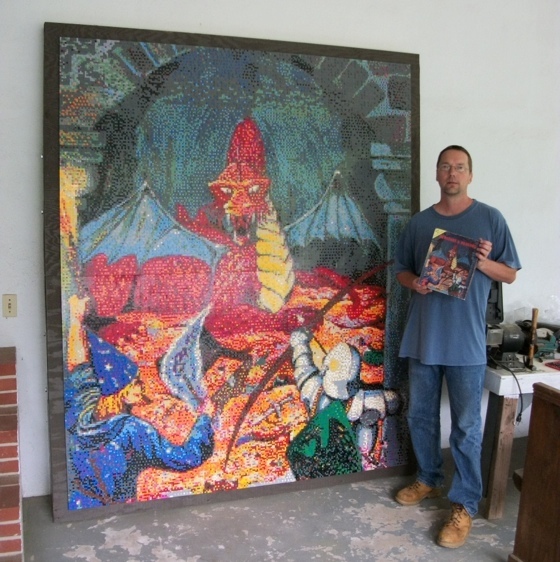 Eric Harshbarger has put together a ridiculously large mosaic version of the original Basic Dungeons & Dragons artwork using over 50,000 pieces of lego in 20 different colours. He says it took him about 2 months, but I’ll just assume that he’s already super fast at making these, because that means on average, he added a thousand bricks to it. If you’re looking for more of Erics’ work, be sure to check out his portfolio. He’s got a LOT of different projects he’s worked on over the years. Very impressive.